An interruption to the regularly scheduled program for an important news alert. Jeremy and I purchased a farm share this year, which means that every Friday we pick up a new load of fresh veggies from this farm. We have been out numbered by carrots, and didn't know what to do with all of them. While at my friend Greta's house (Greta's Blog), I told her of my carrot woes. She sent me home with a recipe to try for dinner. I reluctantly tried the recipe, fearing that it would be too "putsy". I don't like putsy recipes. I like simple and delish. I don't do multiple steps. OMG. This delivered. We are obsessed. Make it now. It is like grown up Mac and cheese. And for the health nuts like me out there, you know that if you are going to eat pasta, bulking it up with lots of veggies is the way to go. I promise, you will love this. You will want to eat it everyday. Make it now. THANK YOU GRETA! · Combine 2 ½ cups of broth in a microwave safe measuring cup. Microwave on high for 5 minutes or until very hot. 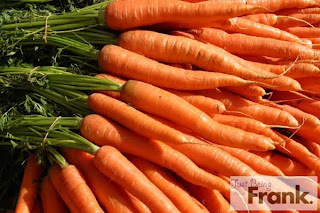 · Add carrots, onions and cook, stirring occasionally for 5 minutes or until tender. · Add orzo and garlic and cook for 1 minute. · Slowly stir hot broth mixture, salt and pepper into orzo mixture. Cook 15 – 18 minutes or until liquid is absorbed. Glad it was a success! Nate and I are going to try a Zucchini and Summer Squash Orzo tonight, although I doubt it will live up t the Carrot Orzo deliciousness.. I would love to try this...we just need our food processor!! Once we get it, we will make it and share!